The Rat Emporium has retired breeding for the time being. 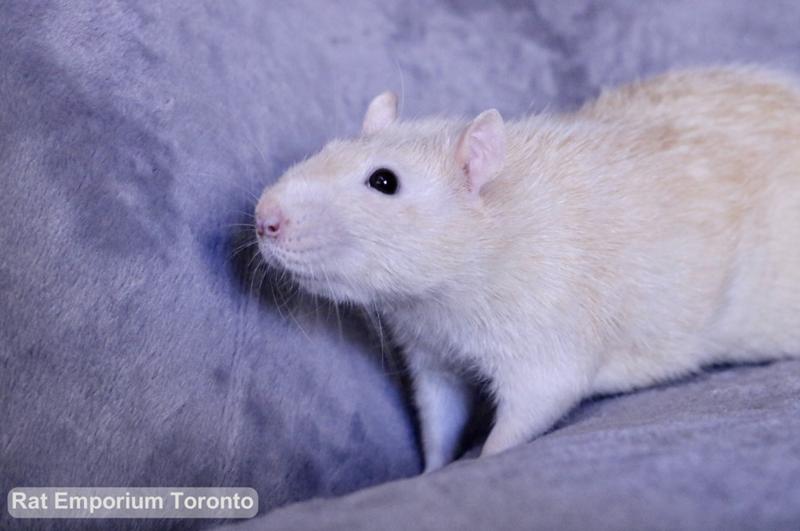 Please visit True North Rattery or Rambling Rats to adopt! 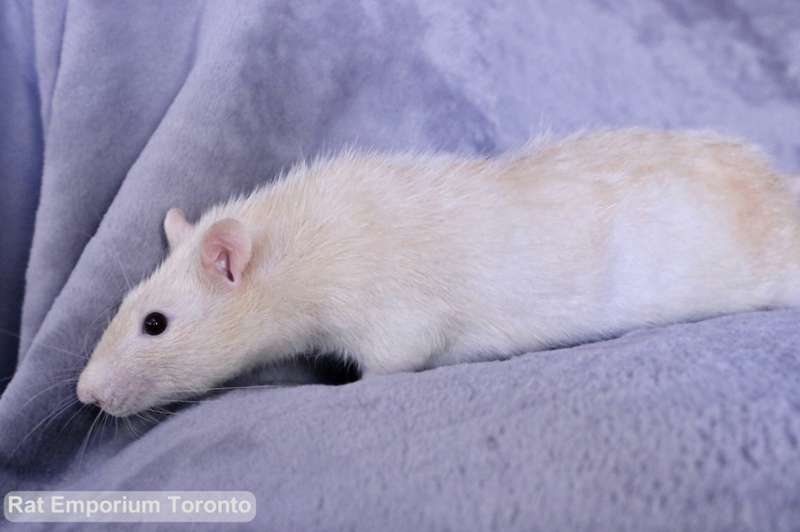 On this page you will find rats that are currently available for adoption as well as previously adopted rats at the bottom of this page! 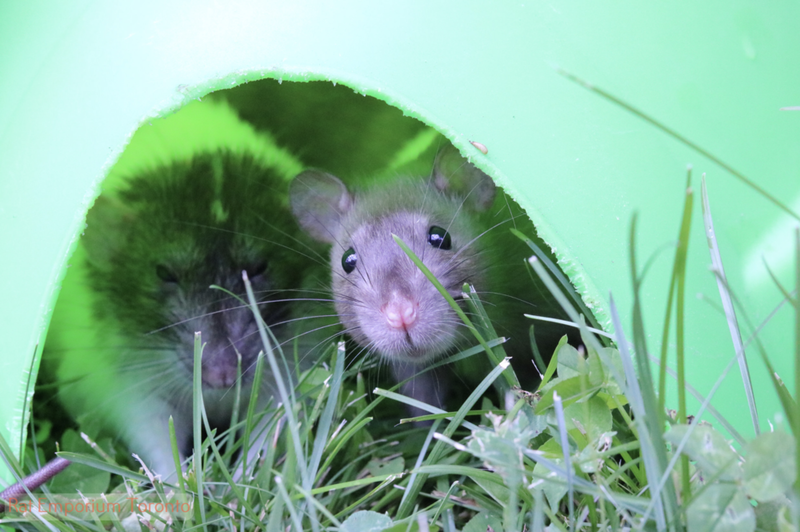 If you are looking for general adoption fees for my rats, please follow this link. 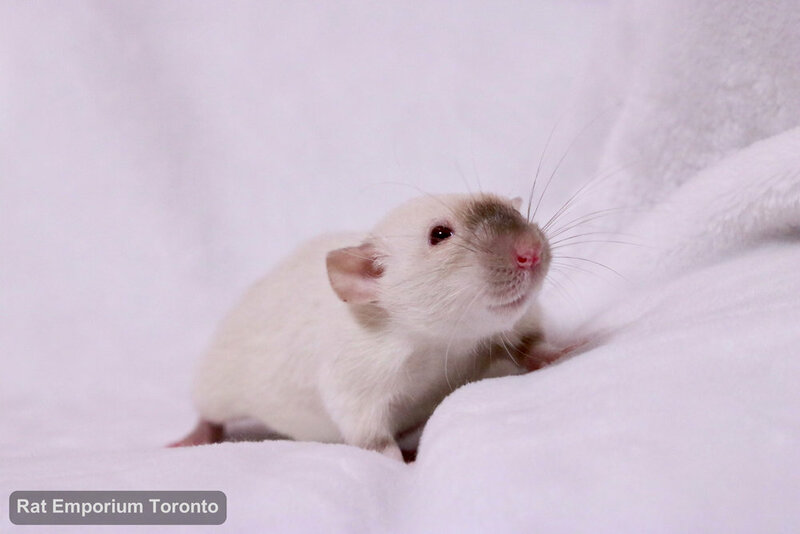 If you would like to adopt any of the rats shown on this page, please follow my Steps to Adoption and message me about who you would like to take home! There are no currently available boys. There are no currently available girls. Trace is the sensible sweetheart of the crew over here. He is gentle and lazy and reserved! Dandan is a more excitable hyper boy who loves to play, run around and explore! Very high energy! - may be best homed with mum. These two boys are absolute bundles of energy like their siblings! They are excitable and mischievous outside of the cage, but a bit nervous around bustling environments quite yet so be sure to start with taking them out in a relaxed situation. 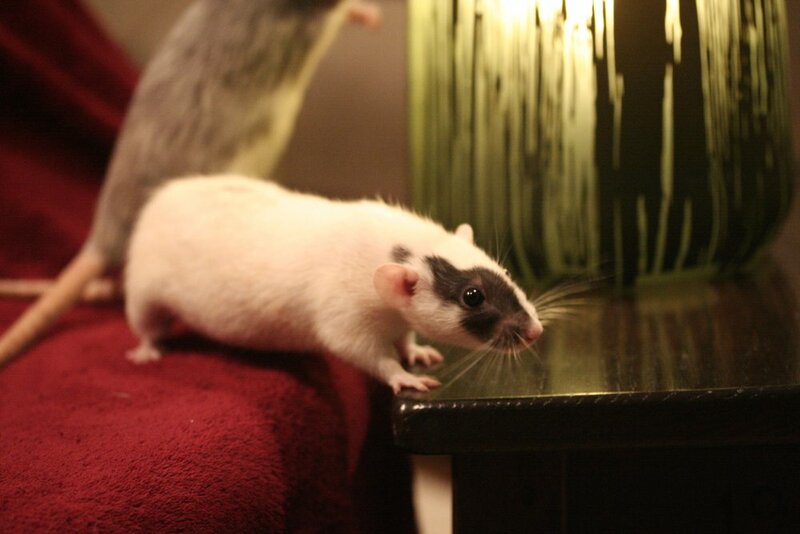 The velveteen boy loves to play "couch jump" while his brother usually looks on, video here! These three sweet boys are available to go to their new home together as a trio! Mickey is the sweetest lazy boy to grace this world. He is always bruxing and boggling away and looking over the younger boys! These two boys are super floppy and laid back, the three of them make such a relaxed little family! Metron is the kissest and most excitable girl ever. All she does is kiss and popcorn obsessively! She is so cute and so playful. 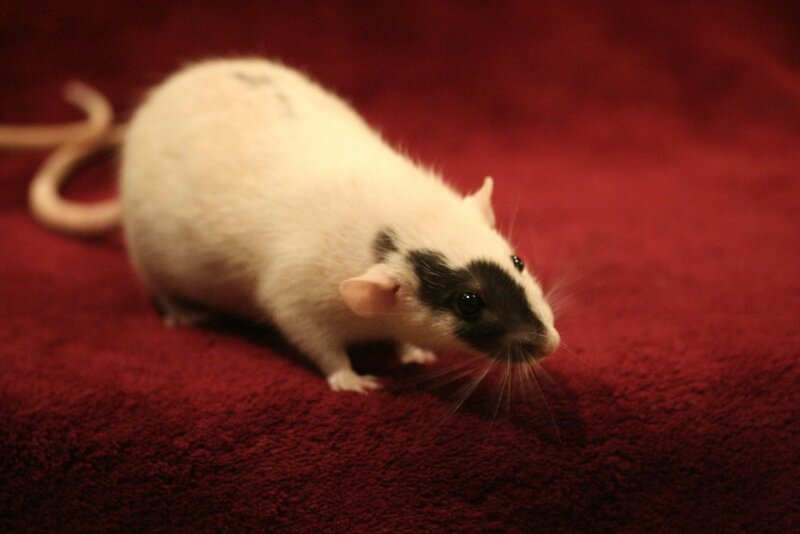 She came to my rattery from True North Rattery and has been paired once. Adoption fee: $50 for Ruby and $20 for Jackie. As they must go together, total adoption fee would be $70. Jackie and Ruby are two sisters that have been quite the little adventurers! They spent a year at an home that taught them to spin for treats and come when called, but unfortunately circumstances changed and these lovely ladies came back to RET. This was a lucky turn of events as, because they are so amazing and well trained, they were hired to be the rats in the play The Curious Incident of the Dog in the Nighttime! These little ones are famous! Overall, being so sweet, kissy, adorable, well trained and so confident, they really would be the perfect pets for any home. Daniel and his sons get together like three peas in a pod, and they are almost literally attached at the hip. The kids love to follow him around and copy whatever he is doing! These three are a mischievous trio and are sure to make you laugh with their antics! This lil girl is taking after her father, and is mischievous and always excited to explore! She is super cute and sweet and looking for a new home! This boy is such a sweet cuddle bug and absolute lap and shoulder rat. He loves to just curl up and hang out, or be carried around the house to explore! He is a big fluffy boy with so much love to give. He is great with introductions with other boys and has had great health. Medical history: He was treated once in October for light grunting which cleared up in 10 days! This boy is one of the friendliest and sweetest little creatures to ever bless the rattery. He has such a loving personality and wants to constantly be held! Medical History: was treated with Baytril for light RI for one week in Oct. 2017.